Tours are given on Fridays at noon. Please call ahead to let the front office know you’re coming, then check in when you get here. 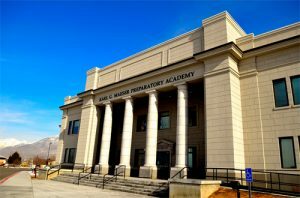 Karl G. Maeser Preparatory Academy is located 320 West 600 South, Lindon, Utah. The building draws its exterior features from Classic Greek Architecture. Four Doric columns support the front porch. 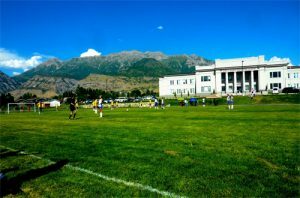 Our soccer field is located at the front of the school. This is the home field for girls soccer games in the fall and boys soccer games in the spring. 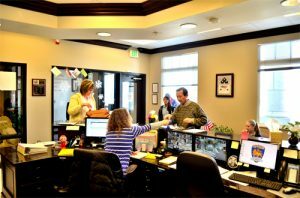 The Karl G. Maeser Preparatory Academy front office staff is available to help parents and students during office hours. Office hours are Monday-Thursday 7:30 am to 4:00 pm and Fridays 7:30 am to 1:00 pm. 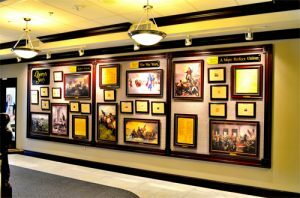 Maeser strongly believes that understanding and appreciating the events leading to the Declaration of Independence, Revolutionary War, and founding of the United States is critical for today’s students. The Liberty Wall is one of the ways students are constantly reminded of our country’s founding values and the sacrifices that made our country possible. 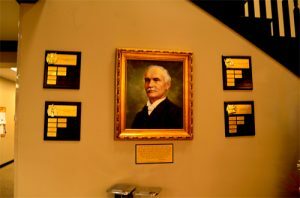 The Karl G. Maeser wall displays a portrait of Karl G. Maeser. This Portrait was painted and donated by Blaine Frazier. 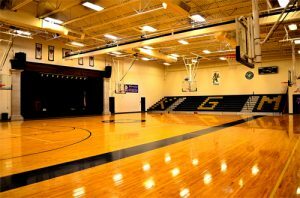 The Karl G. Maeser Preparatory Academy has one gym. 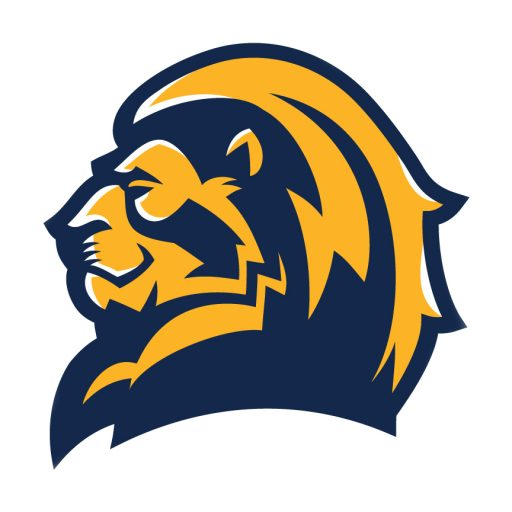 This gym is shared by Maeser’s sports teams and P.E. classes. Girls Volleyball is offered in the fall while both girls and boys basketball teams use the gym in the winter. 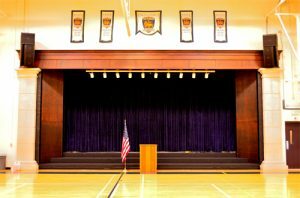 The Karl G. Maeser Preparatory Academy is where theatre comes to life! 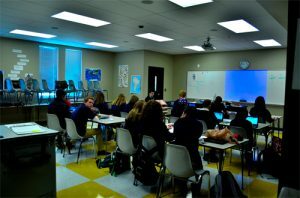 Maeser Prep has thirty classrooms and two labs (Science & Computer).